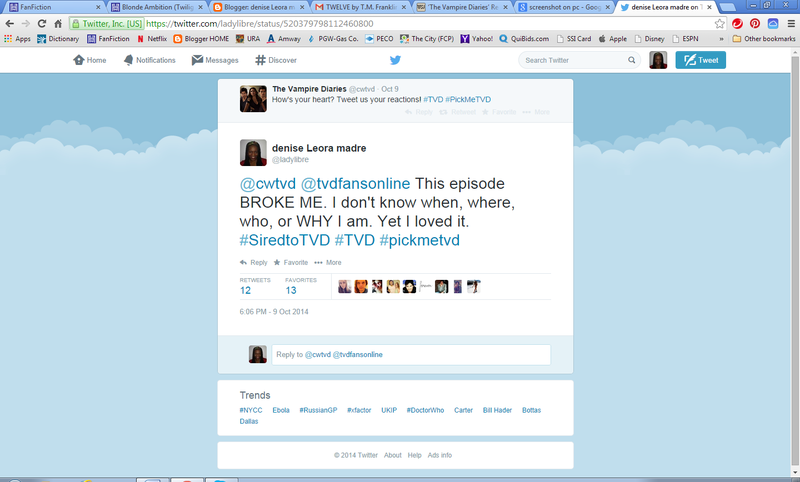 The Vampire Diaries Season 6 premiere was two weeks ago, and I didn't write about it because I didn't know what to say. 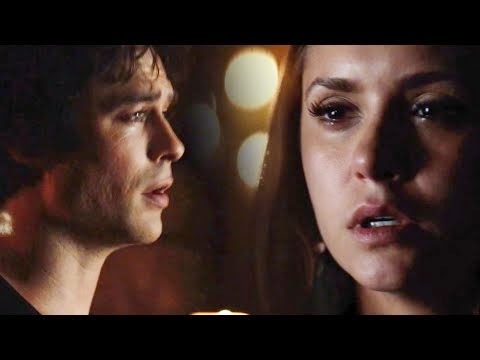 Watching Elena mourn Damon...though not really...was strange and awkward, to say nothing of watching everyone scrambling and lost. But my reactions to that episode weren't strong enough to warrant me sharing them, so I kept them to myself. Such is not the case after "Yellow Ledbetter," the second episode of this already emotional season. I have already rewatched this episode twice since Thursday and plan to watch it daily for the rest of my days. Or at least until Damon returns to Mystic Falls. As my readers know, my best friend of 30 years died three years ago of breast cancer. I didn't know she was sick again, and I learned of her passing on Facebook. The night I found out, I left her a voicemail. I don't remember what it said, only that I felt better and worse after leaving it. So when Jer-bear leaves Bonnie this voicemail, starting with how pissed he is for the way she said goodbye, I get it. I totally get it. And a little piece of me dies with Ebony all over again. How I've missed him! That accent and diction--never have "garment attendant" and "clavicle" sounded so alluring--and I've wondered how he was reacting to Damon's death. Things between them are strained at the end of S5, to say the least, but I think their Augustine bond is stronger than death. So I'm relieved to see him chasing down leads and erstwhile brothers-turned-mechanics in Savannah. Ohhhh. The look in his eyes. The way he says, "I'll be right back." The much-deserved arse-whooping he gives Stefan. Yeah, I won't need Alaric's help to remember: this is the moment where I first loved Enzo. Caroline is arguably my favorite non-Damon TVD character. She brings such life and heart to every scene, and when she feels, I feel with her. From her incredulity at the table with Alaric to her devastation in the face of Stefan's indifference, she moved me, wholly and deeply. Her selflessness in hiding her grief from the freshly compelled, Damon-free Elena was breathtaking. If anyone deserves happiness this season, it's our favorite blonde. 4. Alaric's collusion in Elena's compulsion. I must put these two together because they are both so connected to Damon. Alaric is Elena's only "living" guardian of sorts, but he's also Damon's best friend...well, one of, since Enzo's back. Erasing Damon from Elena's memory cannot be pleasant for him. And then there's Elena herself who has decides four months of unsuccessful mourning is long enough and she wishes to forget Damon altogether. While I completely disagree with her decision, I admit it makes for a compelling (hehehe) plot twist. They are both hurting, but I give the edge to Ric. He does this. 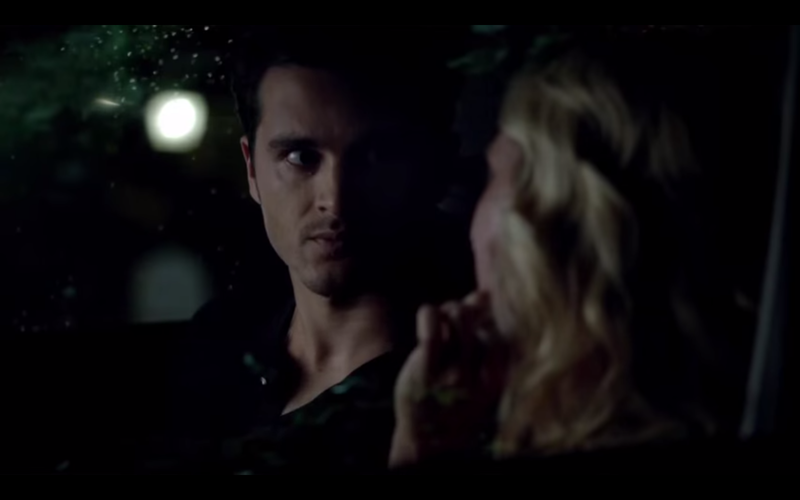 He is responsible for erasing Good Damon from Elena's memory, leaving only the Monster who killed her brother. And when Ric realizes the compulsion worked, I break along with him. This is only Episode 2, folks. I can only hope I survive the rest of the season. The Vampire Diaries airs Thursday nights at 8pm EST on The CW.